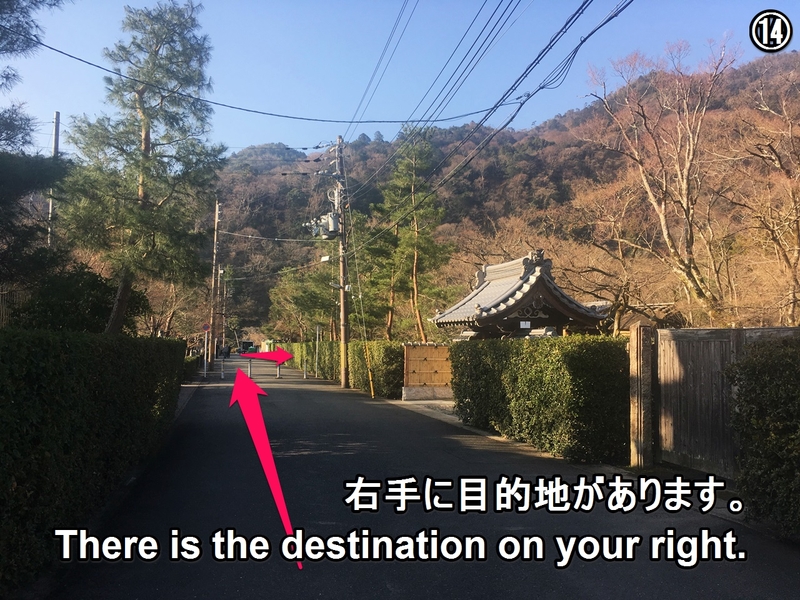 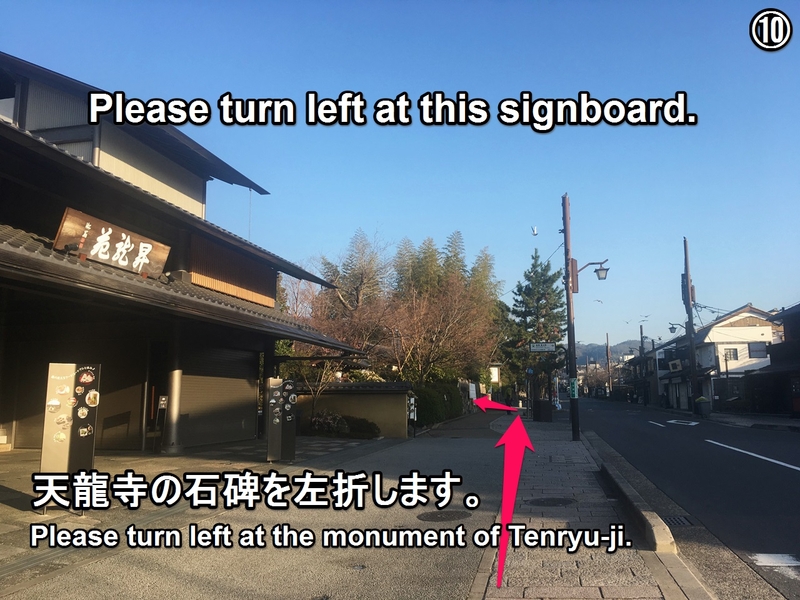 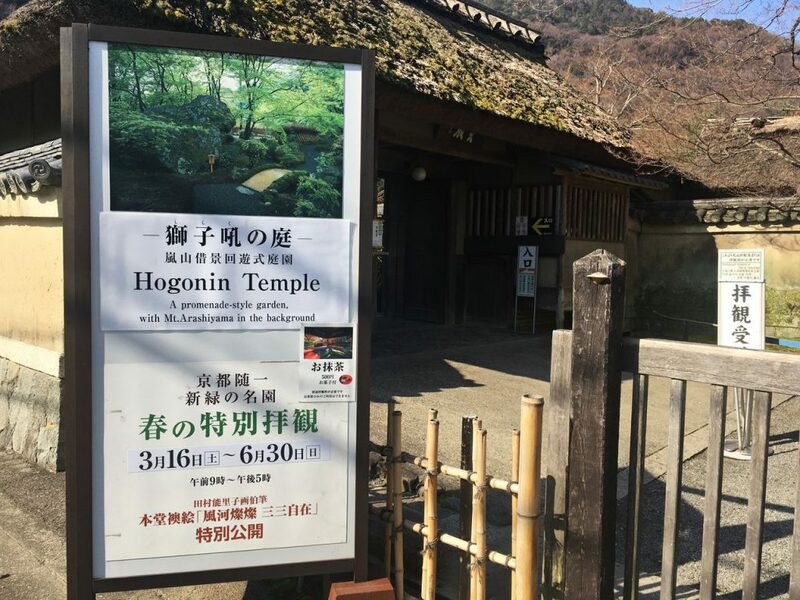 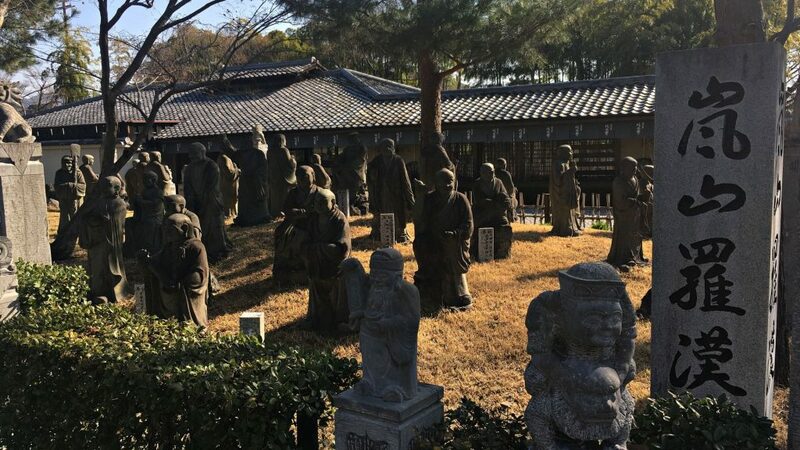 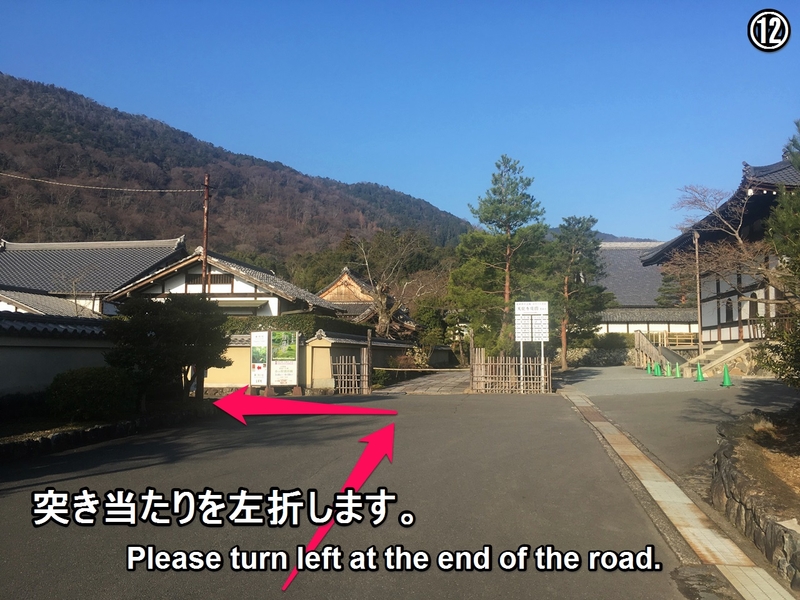 Hogon-in Temple (宝厳院) is a Buddhist temple belonging to the Tenryu-ji school of the Rinzai Sect located in Arashiyama, Ukyo Ward, Kyoto City. 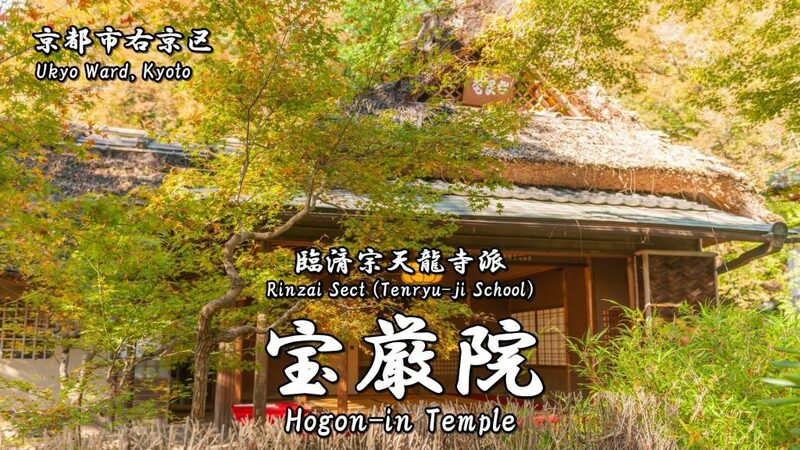 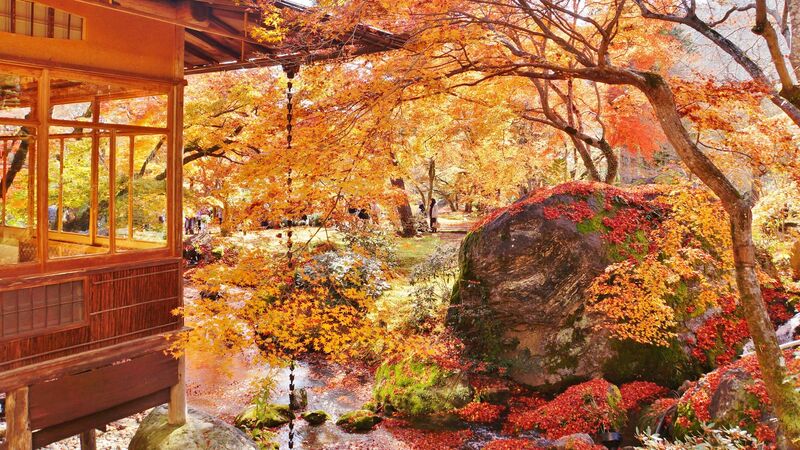 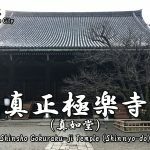 This temple is only open to the public on specific days in spring and autumn. 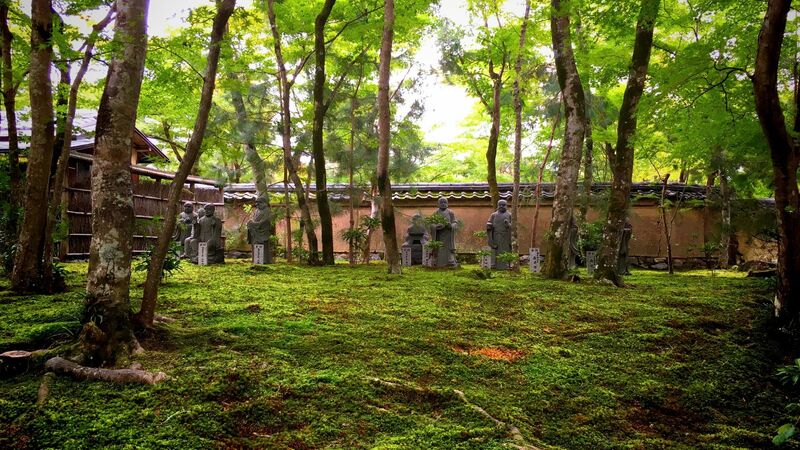 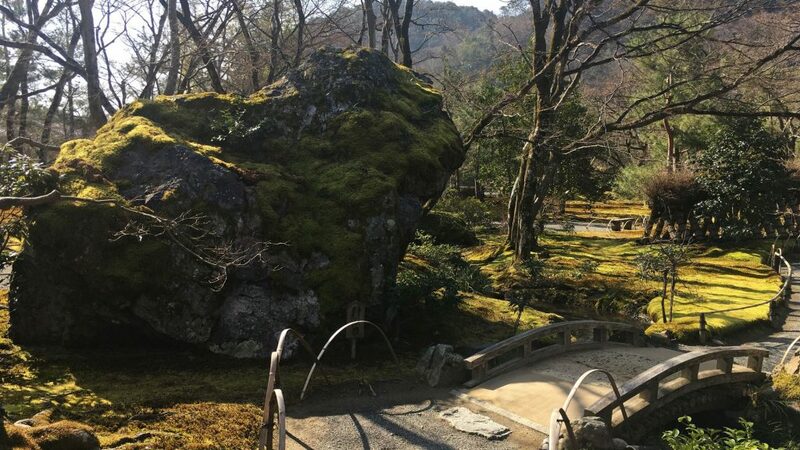 From old days, this place is also known as a beauty spot for fresh green leaves and moss in the spring and for autumn leaves in the fall. 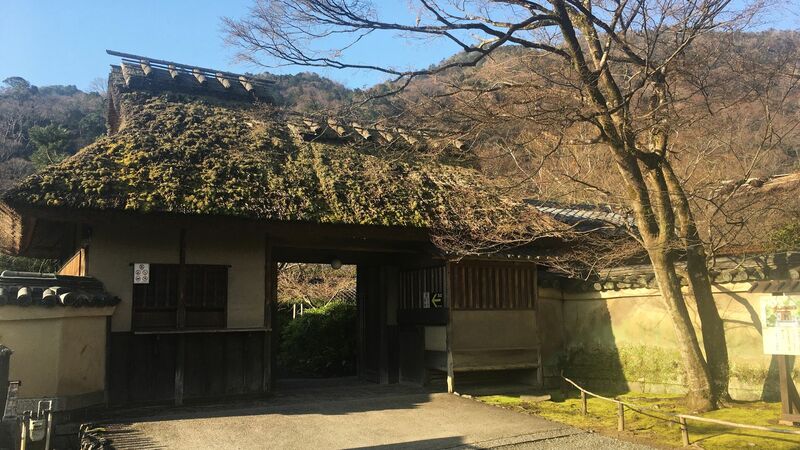 It was constructed in 1461 of the Muromachi period using funds donated by Yoriyuki HOSOKAWA (細川頼之) who was the kanrei (shogun’s deputy). 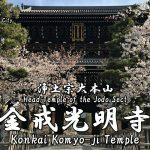 Its principal image is Juichimen Kannon Bosatsu (十一面観音菩薩 : Kannon Buddhisattva with eleven faces). 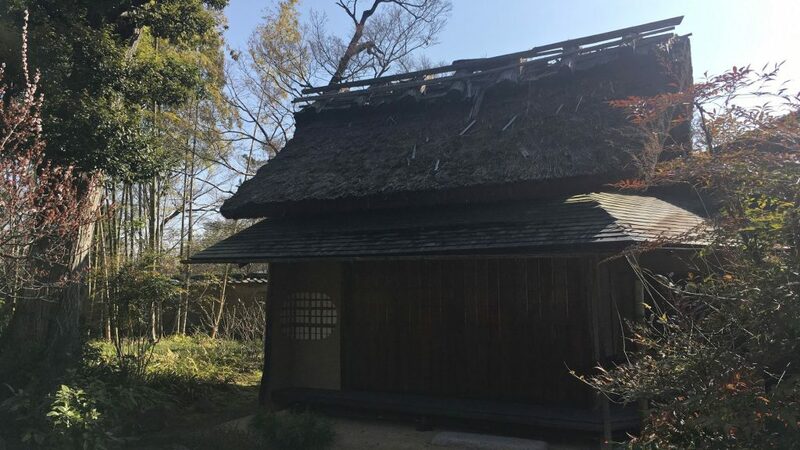 It was destroyed by fire during the Onin War (1467-1477), and was reconstructed using funds donated by Hideyoshi TOYOTOMI (豊臣秀吉). 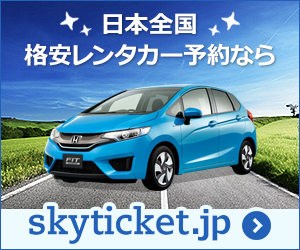 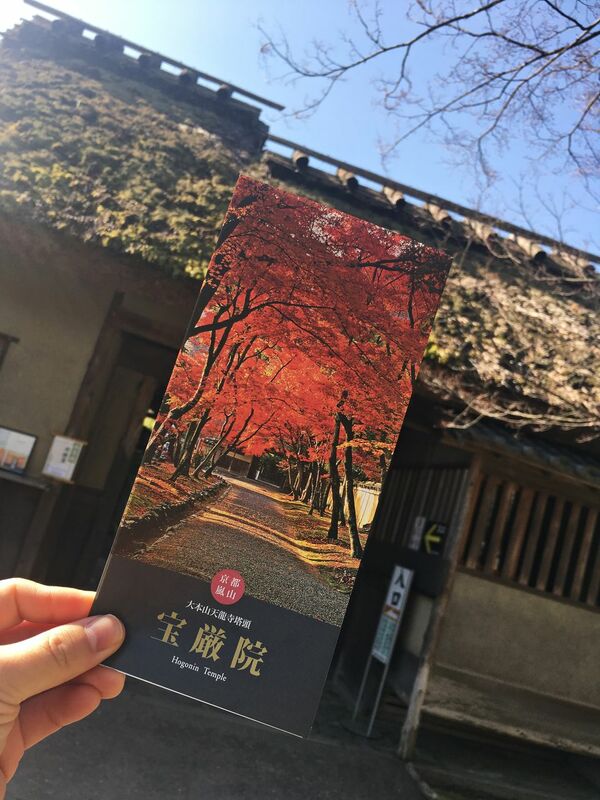 ・It is only open to the public on specific days in spring and autumn. 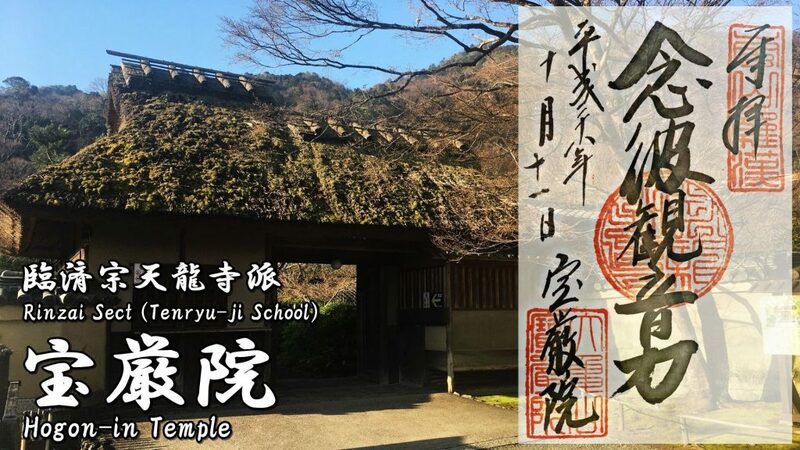 Below is the information on the Special admission in spring of 2019. 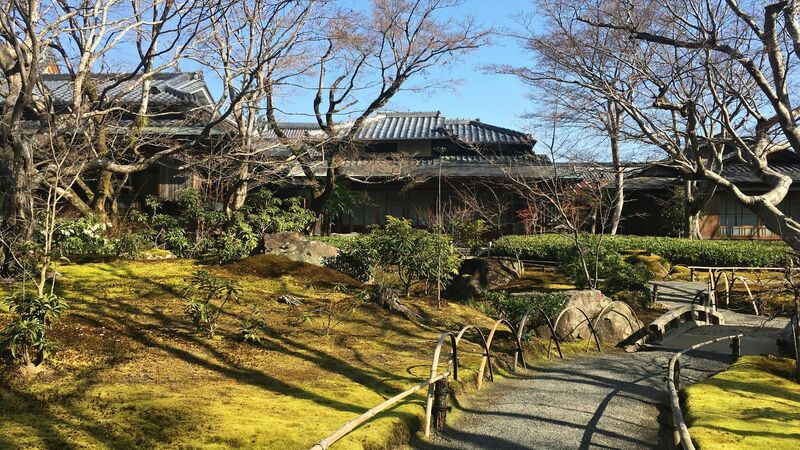 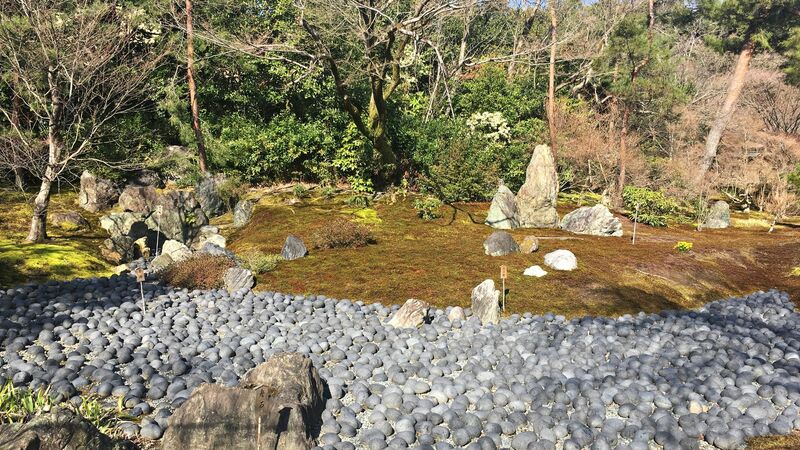 A pond stroll style garden known as ‘Shishiku no Niwa’ (lit. 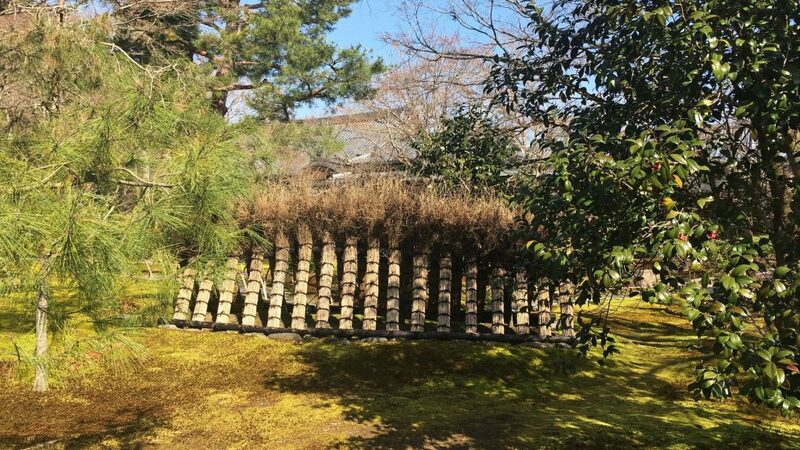 Lion’s Roar Garden) that incorporates the surrounding scenery into its design. 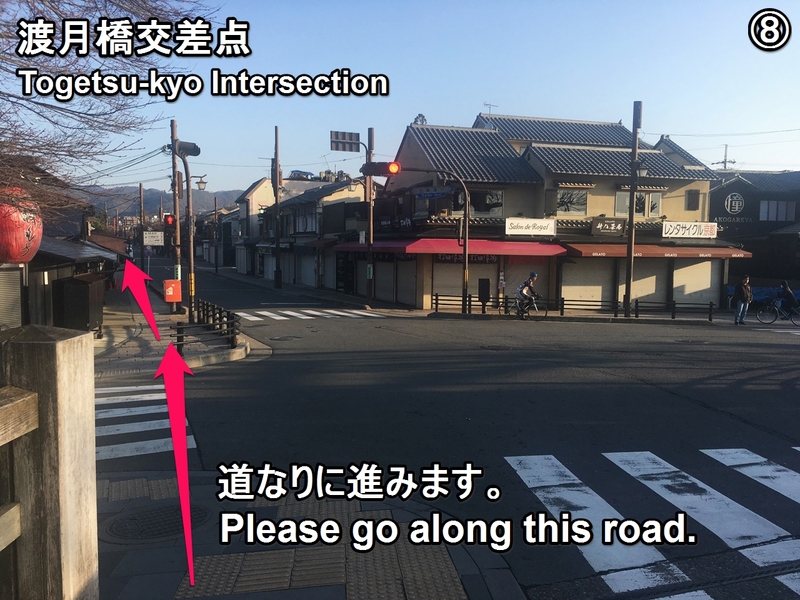 It was built in 2008 of the Heisei period. 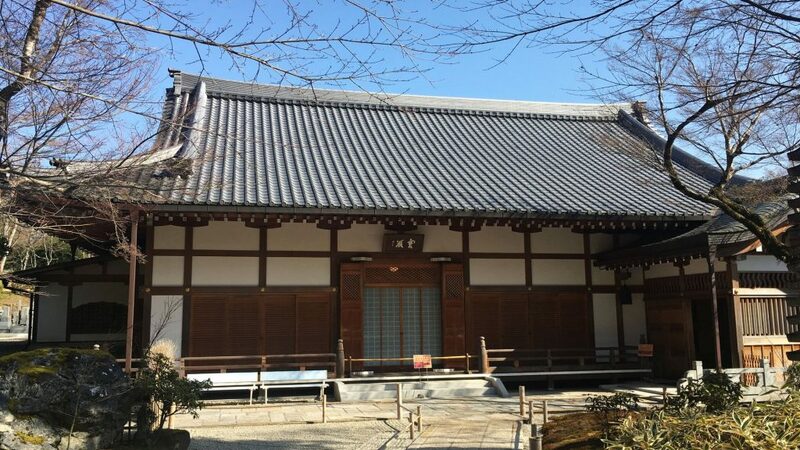 Juichimen Kannon Bosatsu of the principal image is enshrined in this building. It was rebuilt in 1919 of the Taisho period. 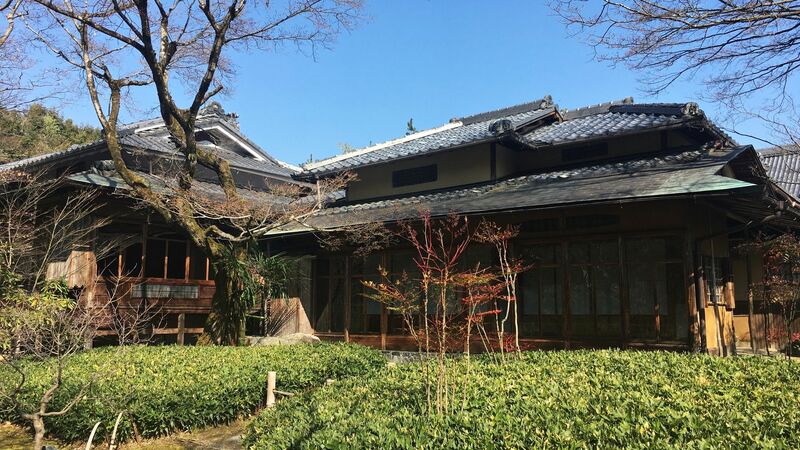 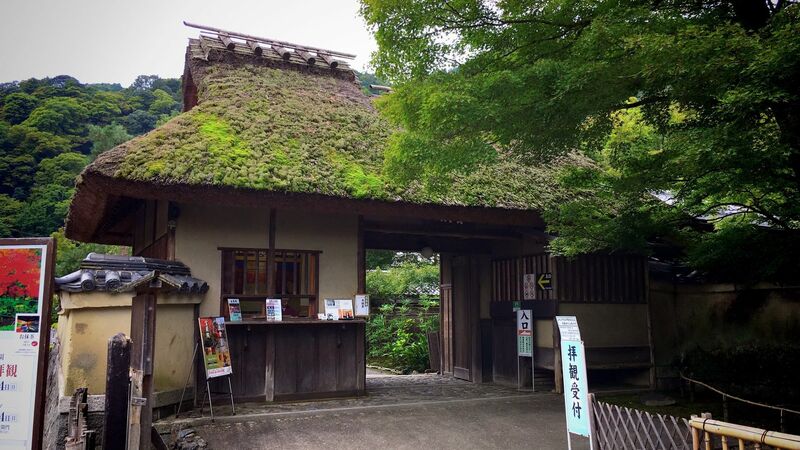 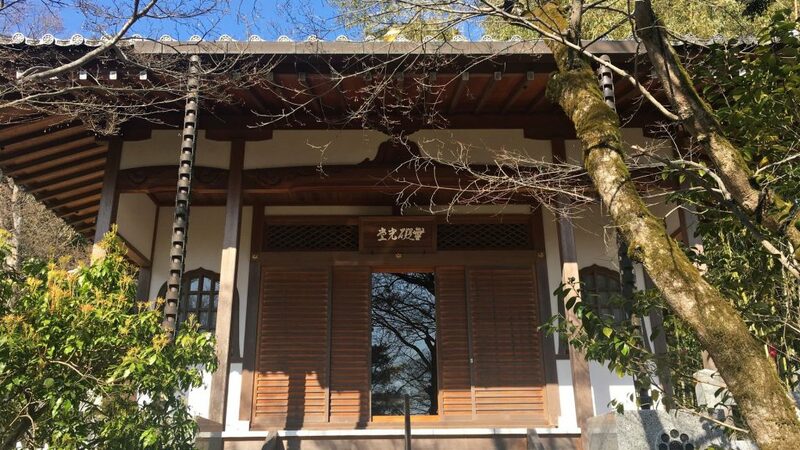 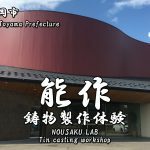 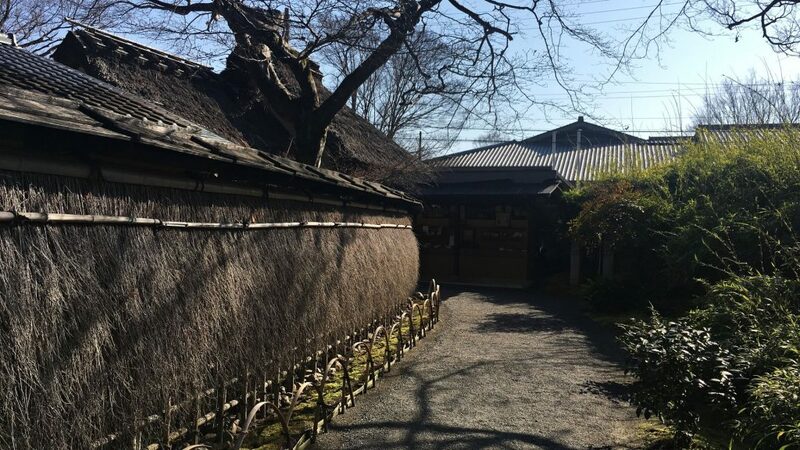 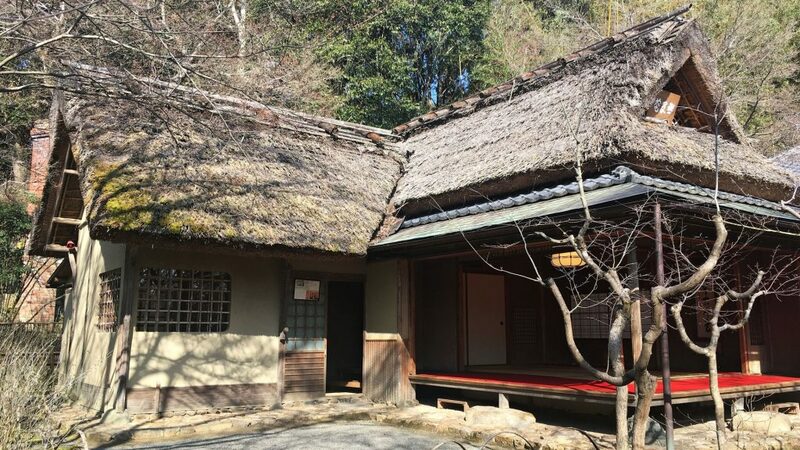 It is a building built in the Sukiya-zukuri style (which incorporates a number of tea ceremony house features). 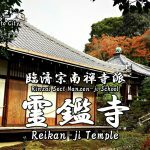 Rakan (Arakan : arhat in Sanskrit) is a saint in Buddhism who is eligible to receive respect and charity. 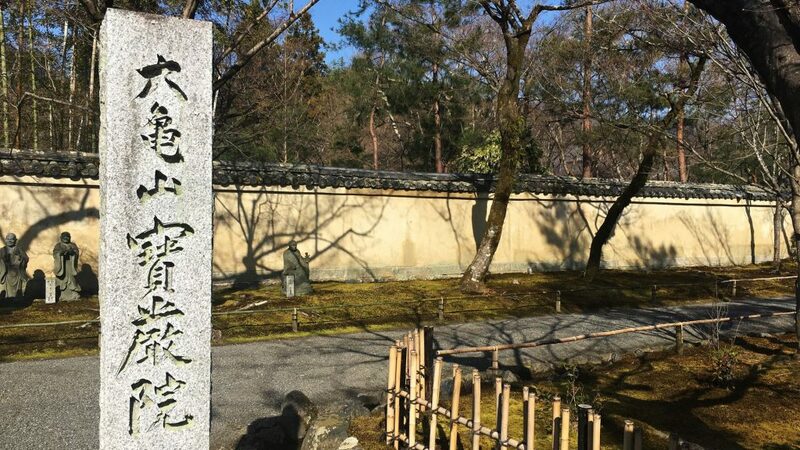 Hogon-in’s red ink stamp, ‘Nenpikannonriki (念彼観音力)’, one paragraph of the Sutra of Avalokitesvara. 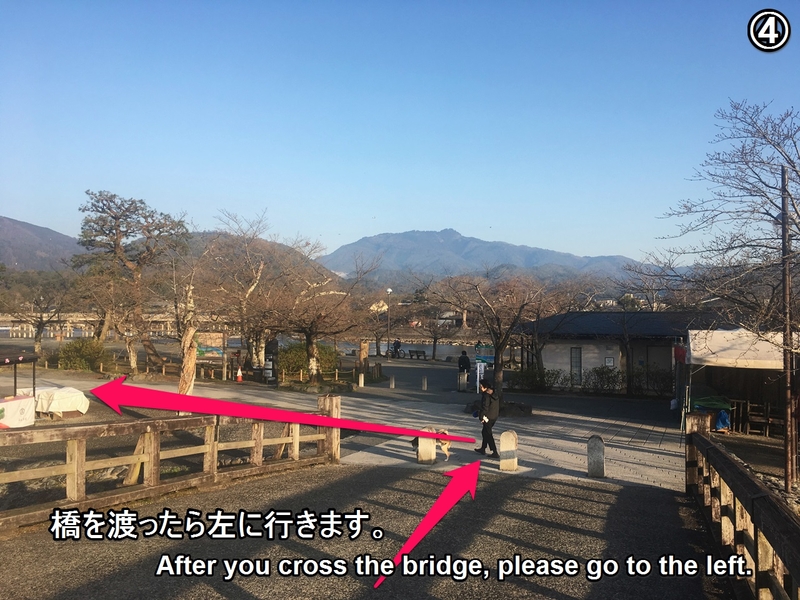 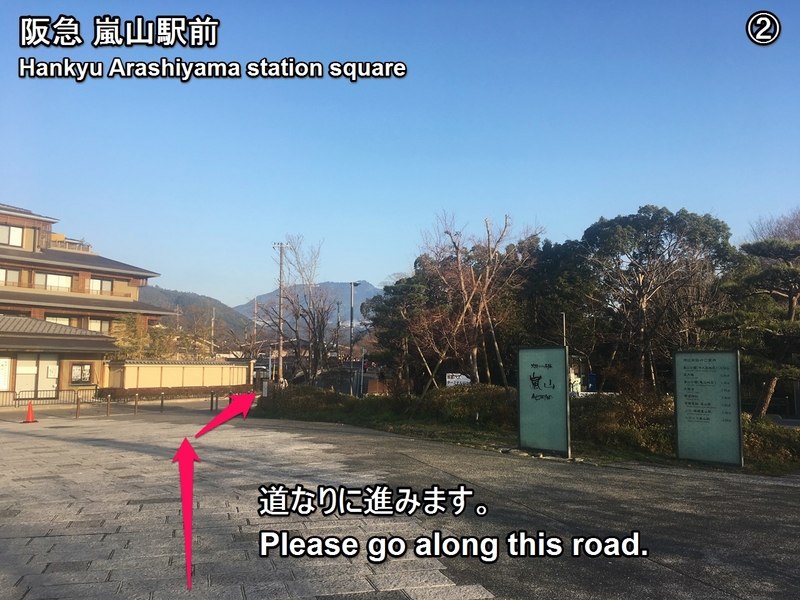 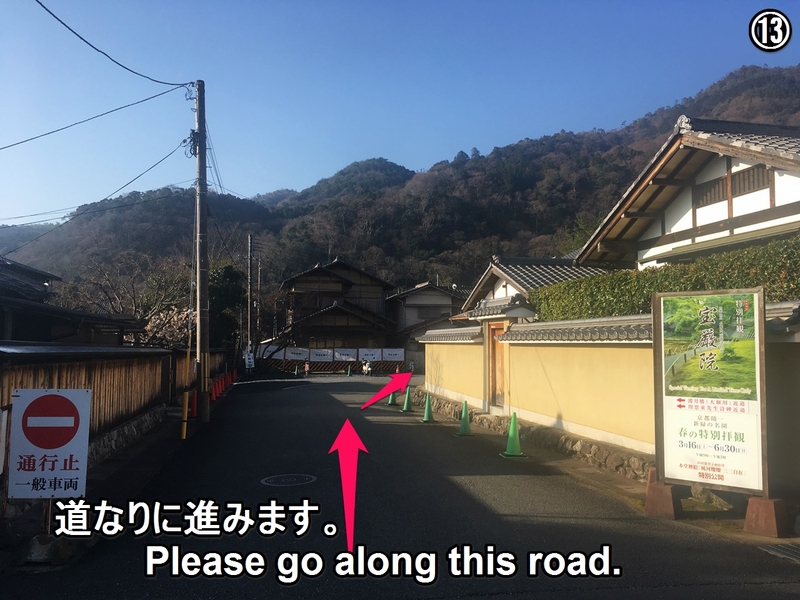 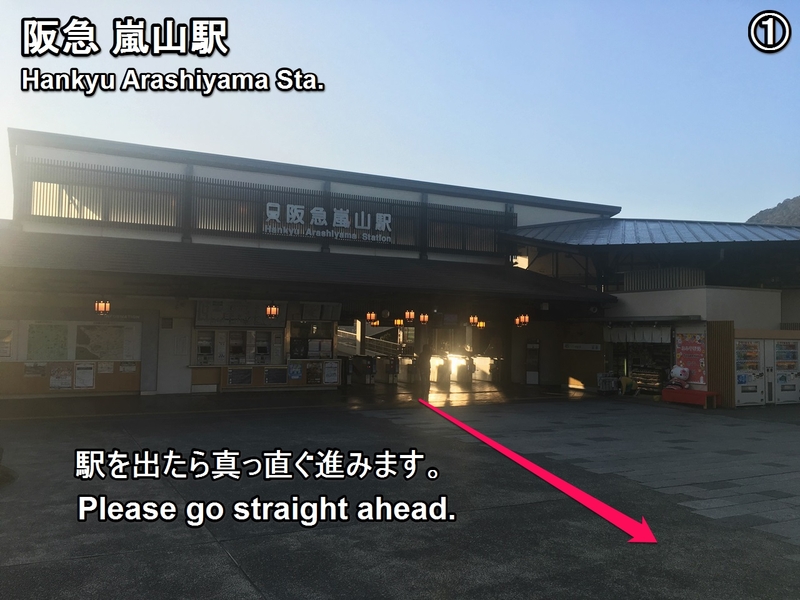 ■When you go on foot from Arashiyama Sta. 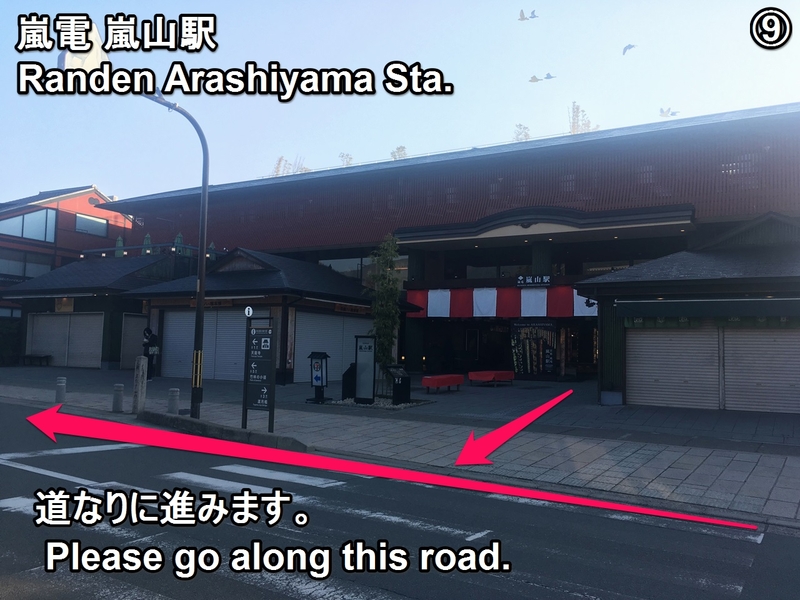 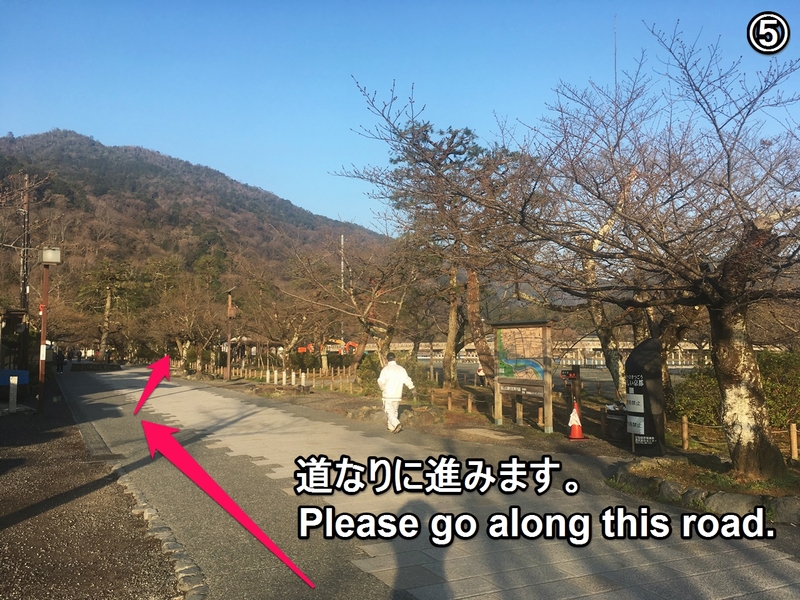 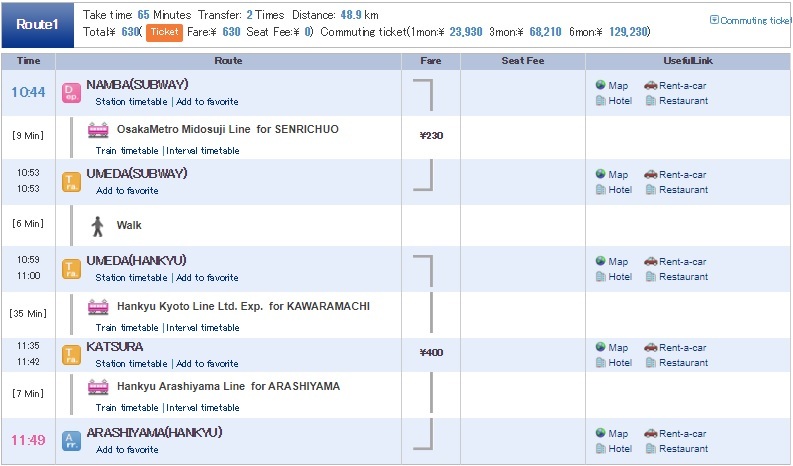 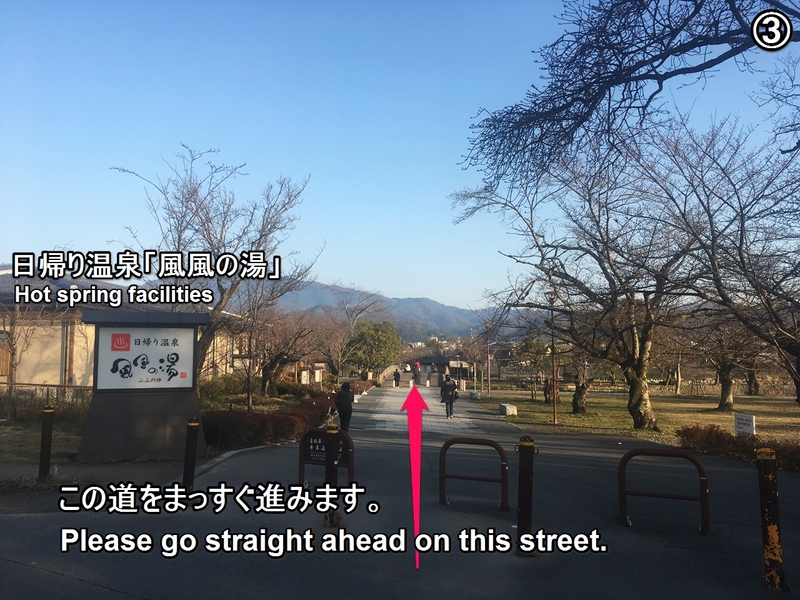 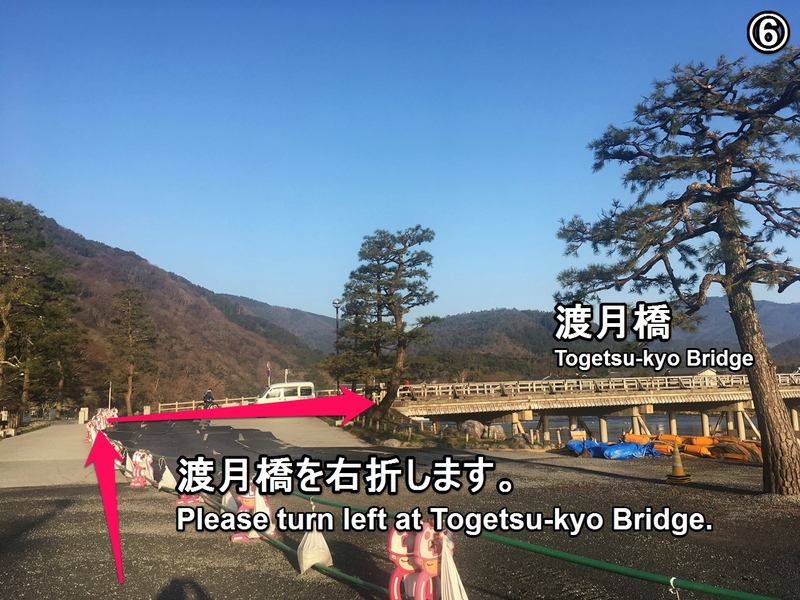 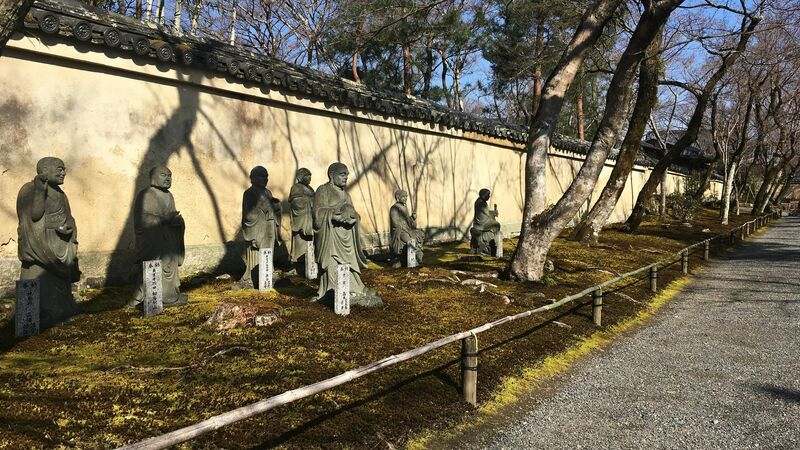 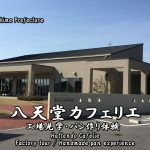 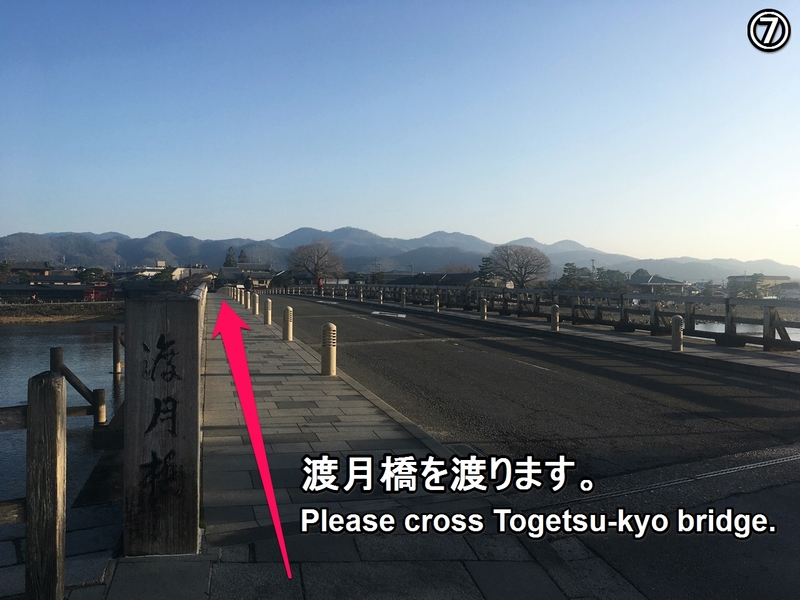 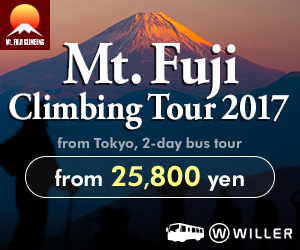 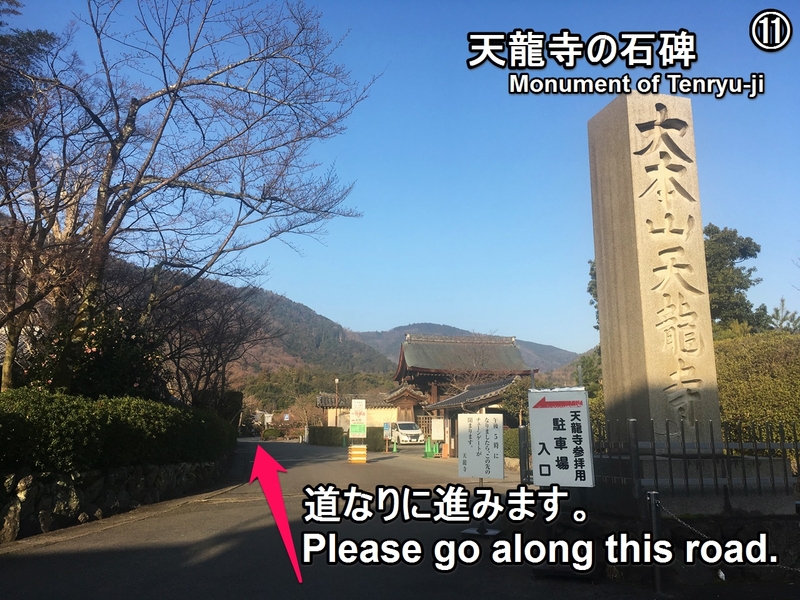 It’s about 15 minutes on foot from Hankyu Arashiyama Sta, and 5 minutes from Randen Arashiyama Sta.